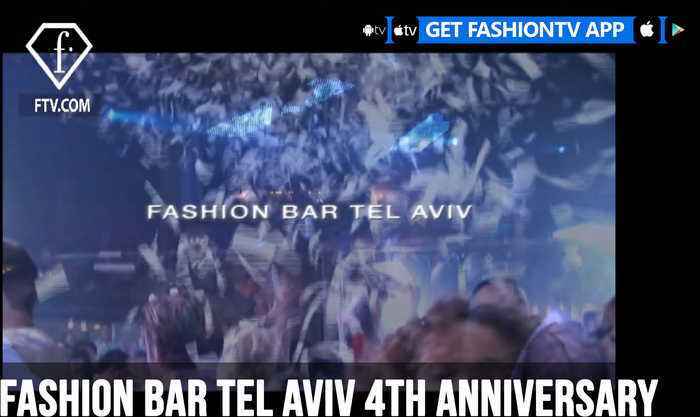 TEL AVIV - Happy 4th anniversary to FashionTV's Fashionbar! The bar is stocked, the drinks are flowing, and the crowd is ready to party as they celebrate the 4 year anniversary of the most stylish bar in Tel Aviv. The FTV girls bring out a cake to say happy birthday. For more FashionTV anytime & anywhere, click here: http://www.fashiontv.com FACEBOOK: http://facebook.com/FTV INSTAGRAM: http://www.instagram.com/FashionTV CHANNEL https://www.youtube.com/c/FTVmain FashionTV’s network brings you fashion in new and imaginative ways every day online! ISTANBUL - Masquerade Istanbul 2019 celebrating the birthday of the one and only FashionTV President Michel Adam. For more FashionTV anytime & anywhere, click..
PARIS - 80 years gold birthday party of Kenzo Takada With polish influencer Justyna Czerniak and French designer Ylan Anoufa at Paris Fashion Week. For more FashionTV anytime & anywhere, click..
MACAU - FashionTV Cosmetics Launches at the wonderful Club Cubic in Macau and this party is unforgettable featuring the talented Voice of FashionTV, Ania J. Brought to you exclusively by..
BALI - FashionTV opens its first party hotel. Love F Hotel, located in the busy shopping and nightlife street LEGIAN in Kuta, next to the original Hard Rock Hotel. Featuring 202 rooms, a cafe, a sunset..
BANGKOK - FashionTV brings you exclusive footage from inside the Valentine's Day party at Love F Bar on the 1st floor of the Intercontinental Hotel in Bangkok. On hand for the main event and enjoying F..
SINGAPORE - FashionTV heads to Clarke Quay, Singapore to check out the party for the opening of Singapore's F.Club. Check out all the beautiful people party as they sip on FASHION Champagne and other..